Our plan was to find a spot outside the town where we could wait for the train, and then race it back it back in with the car. First problem was to determine when to get there. We worked how an approximate time of arrival at some point to the south based on how long it took the train to do the trip the previous day (when we were on it), a supposedly faster speed, a greater distance creating error, and that they might not stop to "change staff" at Halls Creek; and then aimed to arrive at our position 15 minutes before that. Second problem, was where to wait. We decided to head south and see if we could find a place where the road came in to the track, using Google Maps (which helpfully doesn't show the road coming into the track, or has roads that don't appear to exist on it), phone navigation apps and road signs. 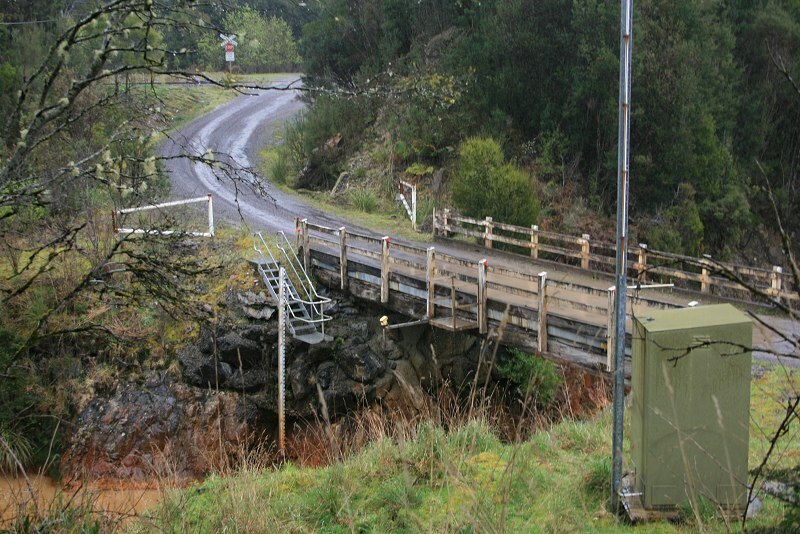 Which is how we found the Tasmanian Specialty Timbers mill car park and there, a road that crosses the track. One slight problem though. Borrowing from Chums again, the 4 January 1893 this time. I opened this issue up, saw the story was about mail vans and went to pick up the next issue. For we know what mail vans are like, bags of mail are thrown into them at one station and then thrown out at another, and that is all there is to it. Then I looked at the picture showing the interior of a van. Interior views of early train carriages aren't that common, especially not ones of this size. These two photos filled the page. As you might imagine, when I unfolded the page I went "Oooh" and then "I'm just sneaking over to use the photocopier while you're not looking." The latter sort of ruined by me showing off what I'd found on the way past the counter. So I'm sharing pretty pictures. "A view of the train in which H.R.H. the Prince of Wales travelled from Hobart to Launceston"
A wonderful escape from death occurred on the railway line at the Dawson bridge on Thursday night. The guard of the down goods train observed a child lying on the line. The train was immediately slowed, and the cow catcher gently pushed the child down between the rails, the train passing over it without inflicting any injury. Two hundred unemployed navvies seized a goods train at Helidon to-day. The Minister of Works met them and remonstrated. He promised to stop all immigration except under the remittance system. The mob then dispersed. A committee of navvies intend waiting on the Government. To answer my own question, yes there were. "In 1938 the Mount Isa Mines payroll of 3,000 pounds was stolen by a group of horsemen near Cloncurry." There's a little paragraph towards the end of this article about a robbery in 1973. "In 1973 the mountain line was the scene of Australia's Great Train Robbery when two masked bandits hijacked a railway payroll. Blocking the line with a rock, the robbers held up the crew and fired several shots into the luggage compartment. Before disappearing with the $7000 payroll, the pair immobilised the train by chaining its wheels to the rails." Finally, in 1935 Joseph Ryan was tried and acquitted for robbing a mail train. "At the Quarter Sessions yesterday a witness described the manner in which he alleged the robbery of £10 000 in bank notes from the Canberra mail train four years ago had been planned." An account of the trial. This was all through the papers at the time. Started with this: Railway Bridge over Jordan River, which is the same the photo I found in a book I was looking at, of a bridge near Colebrook at the Horseshoe Bend. Which makes it the same location as Scene of the late railway catastrophe at the Horseshoe Bridge on the main line. Later I found this Railway timber viaduct, Bridgewater, Tasmania which looks familiar. Look at the shadows on the concrete foundations, esp. the second from the right and where the guy is standing and the position of the locomotive. And finally, photos of the Tasmanian Railway Disaster. There's a bit that sqrls found that seems to be about the accident, even though the date & caption on the picture are wrong, that suggests it was a bit of news story. Will check newspaper to see. Might be interesting.